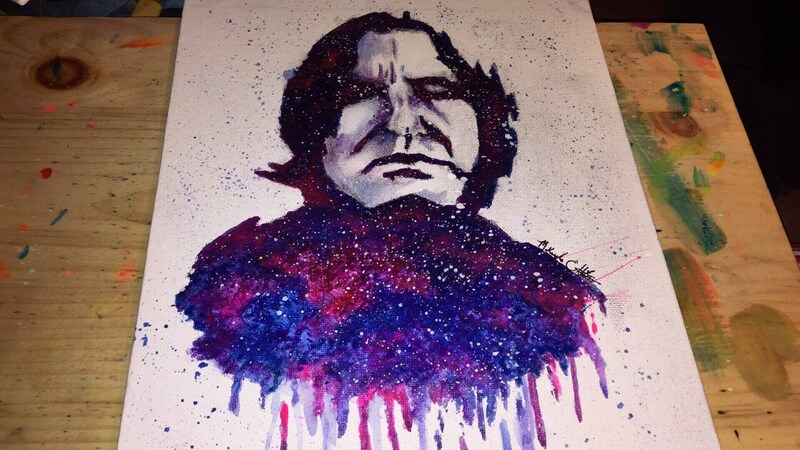 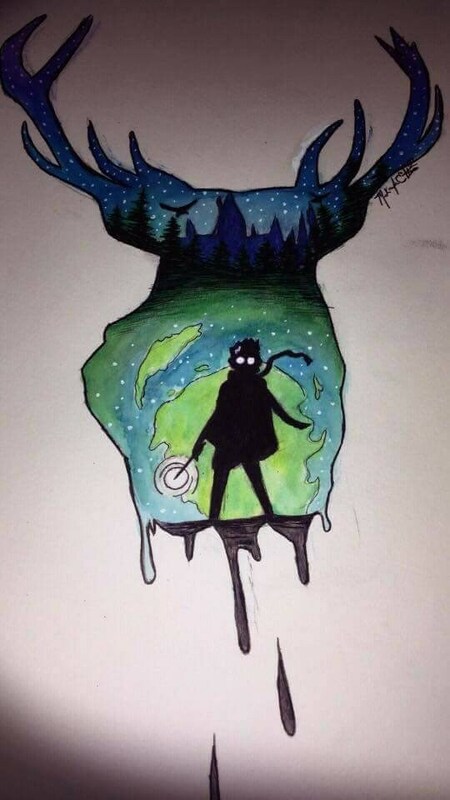 Snape: Canvas, 9"x12" blacklight reactive. 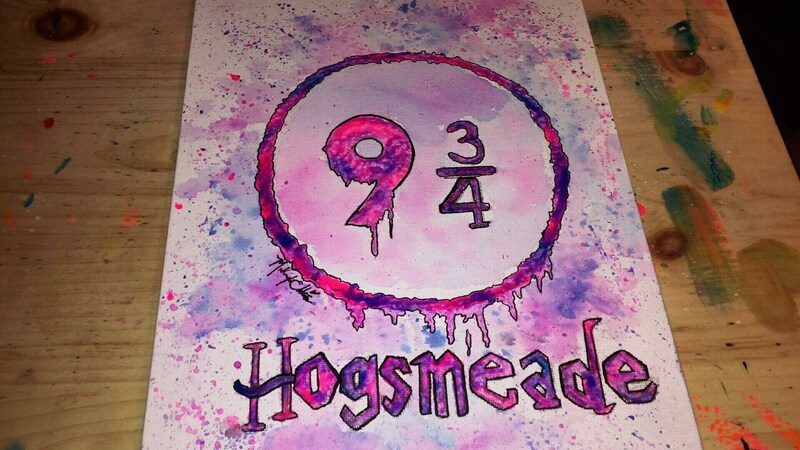 Hogsmeade: Canvas, 8"x10" blacklight reactive + Glows in dark. 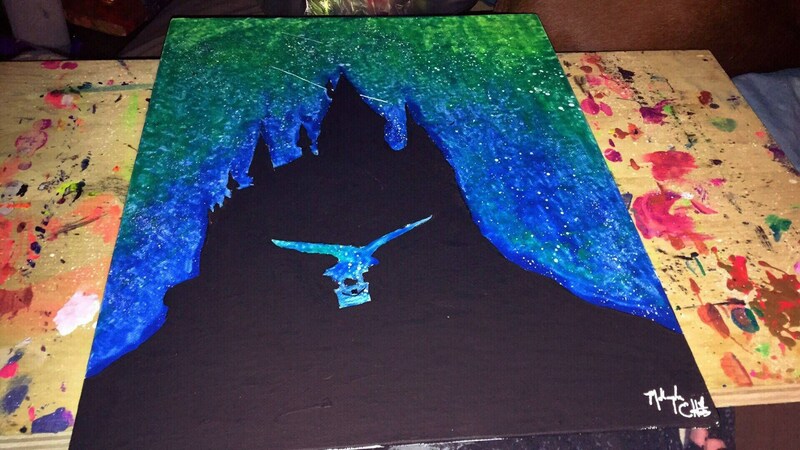 Trio: Canvas, 8"x12" blacklight reactive + glows in the dark. 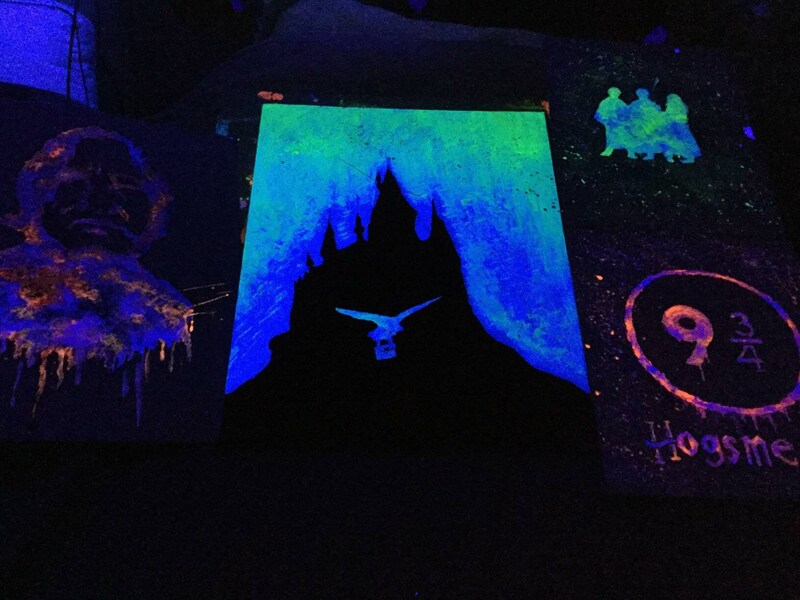 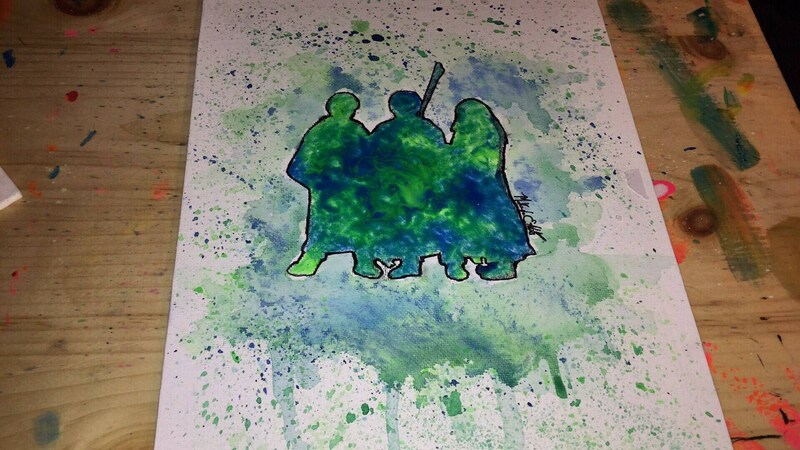 Hogwarts: Canvas, 11"x14" blacklight reactive + glows in the dark some.